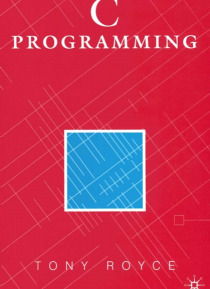 A carefully paced introduction to programming in the C language, this book assumes only a limited previous knowledge of computers and programming. Each concept and feature of the language is presented as a short lesson, usually restricted to two text pages, illustrated by practical worked examples and supplemented with exercises to aid student self study. The book will appeal to a broad range of s… tudent who is required to study the C programming language, whether at further education or at higher education level.